Good evening everyone! 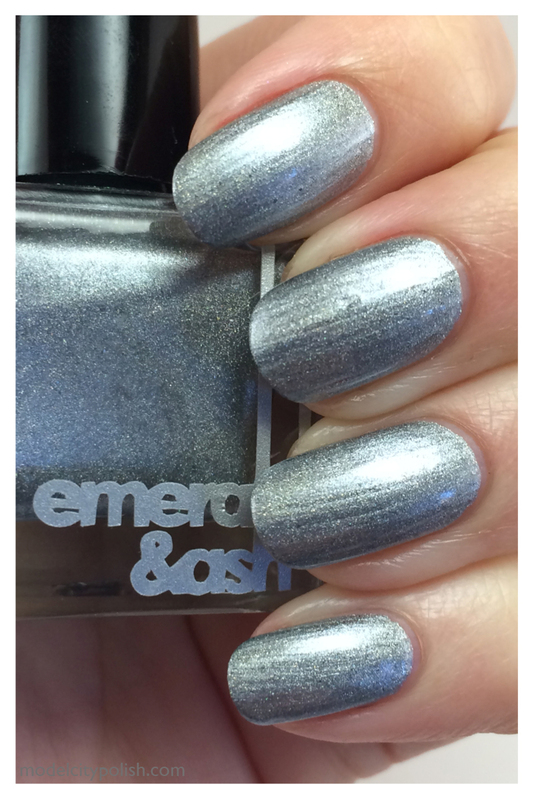 Tonight I have the lovely Winter Nights Collection to share with you guys from Emerald & Ash. I am loving all of these nontraditional blends this year! 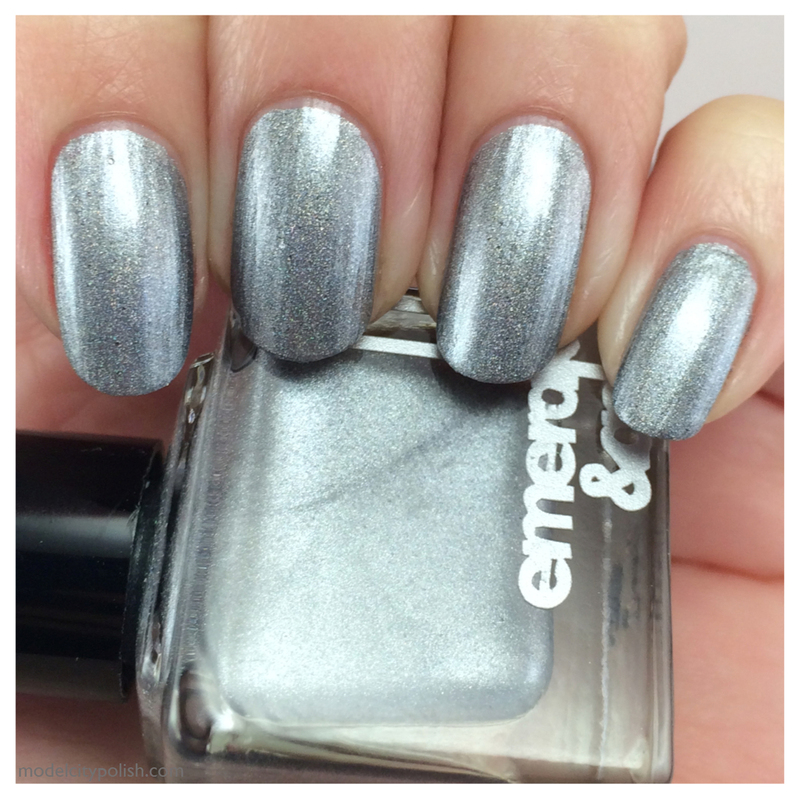 While I love my Christmas polish, I also loving getting something versatile that I can rock all year. 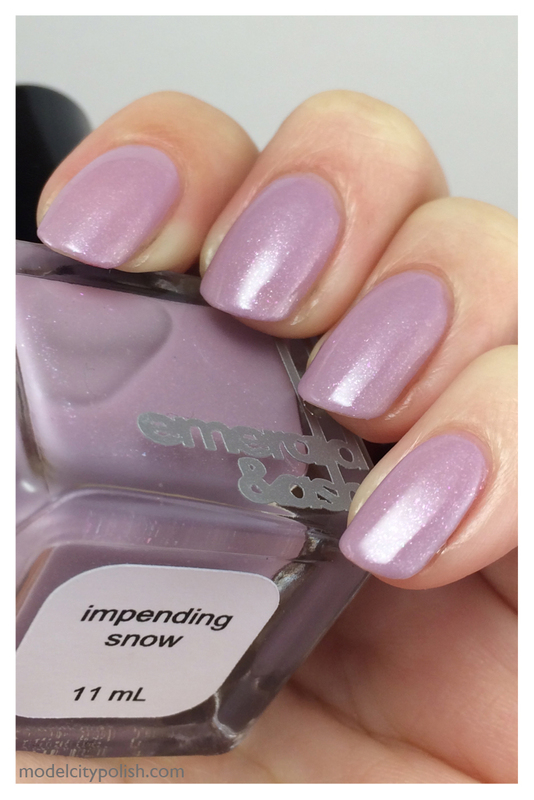 First up tonight is Impending Snow. 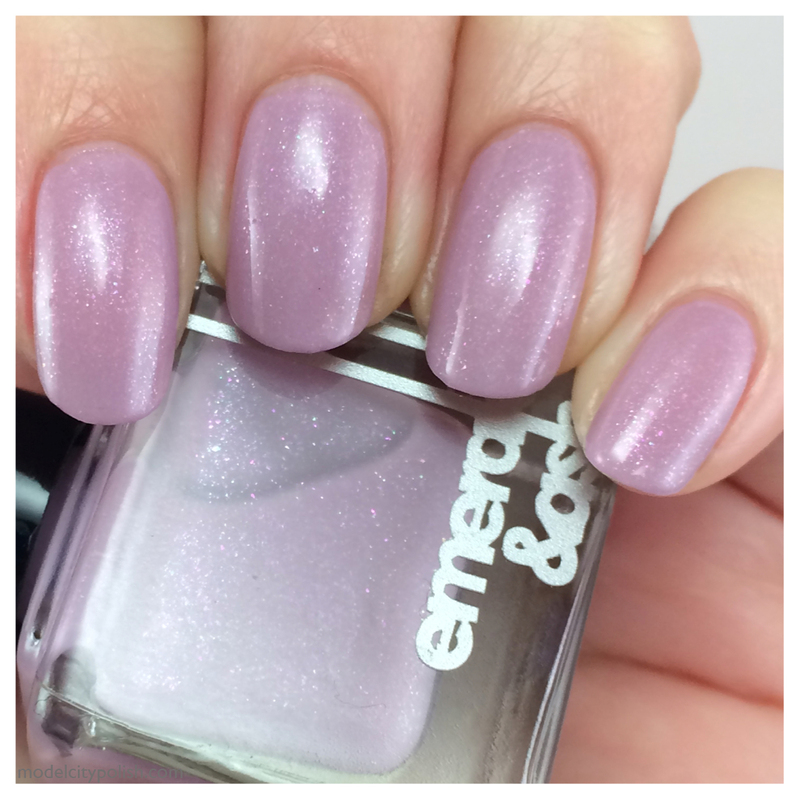 This blend is a sheer pink crelly with hint grey/blue undertones and with an abundance of white and pink micro flake shimmer. 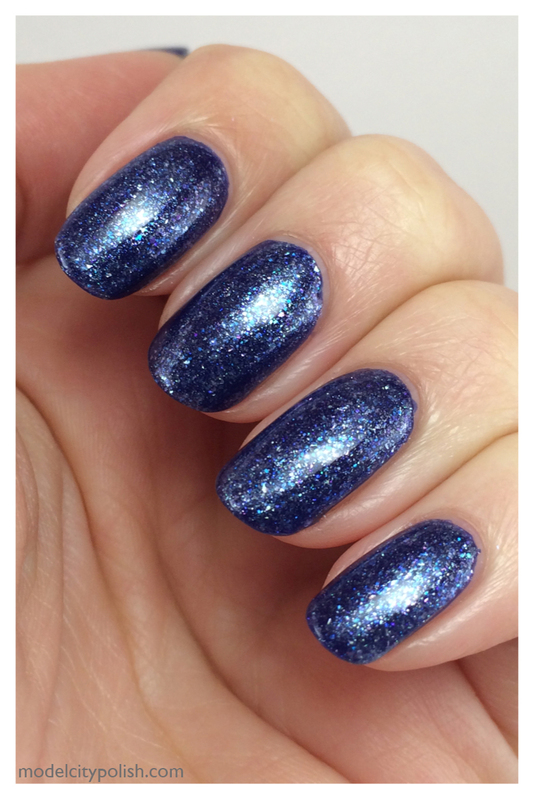 This is such a soft and elegant blend that would be perfect at any time! In my photos I wearing three coats of Impending Snow. 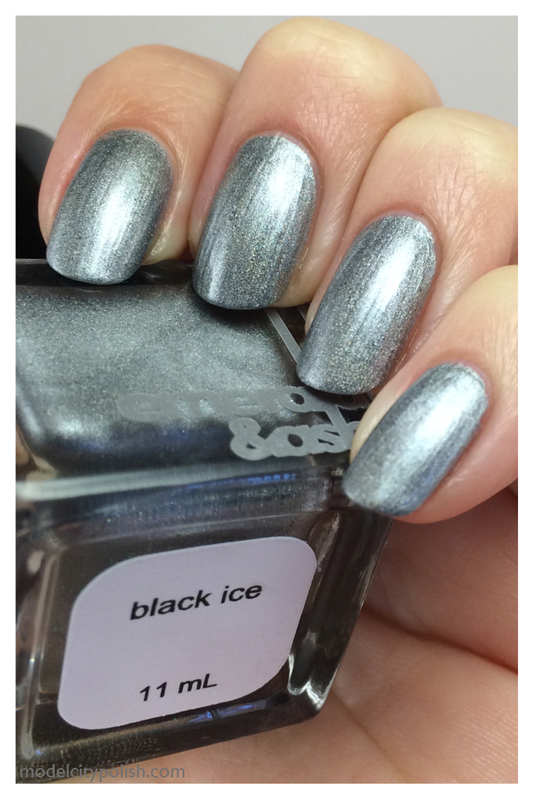 Next up is Black Ice. 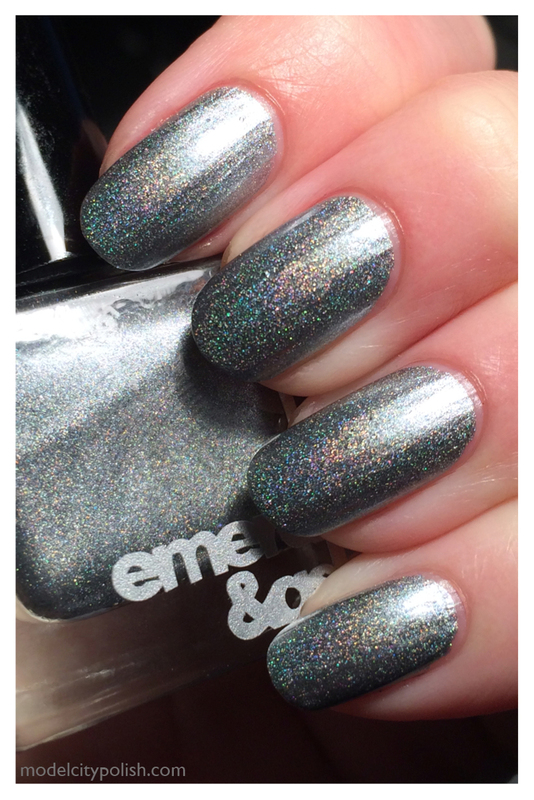 This is a very metallic silvery charcoal holographic blend. 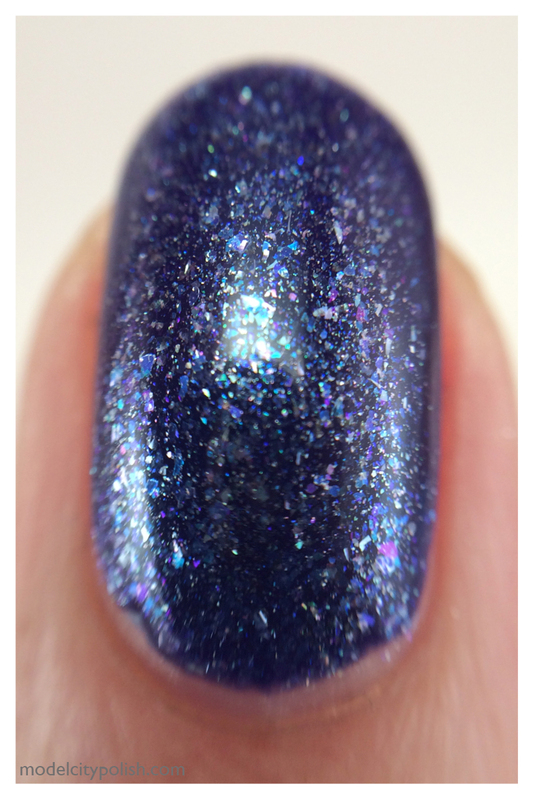 In my photos it looks like I have heavy streaking but it was mostly due to not buffing my nail tops recently. The light made this look like it had deep valleys but in actuality it was very minor. 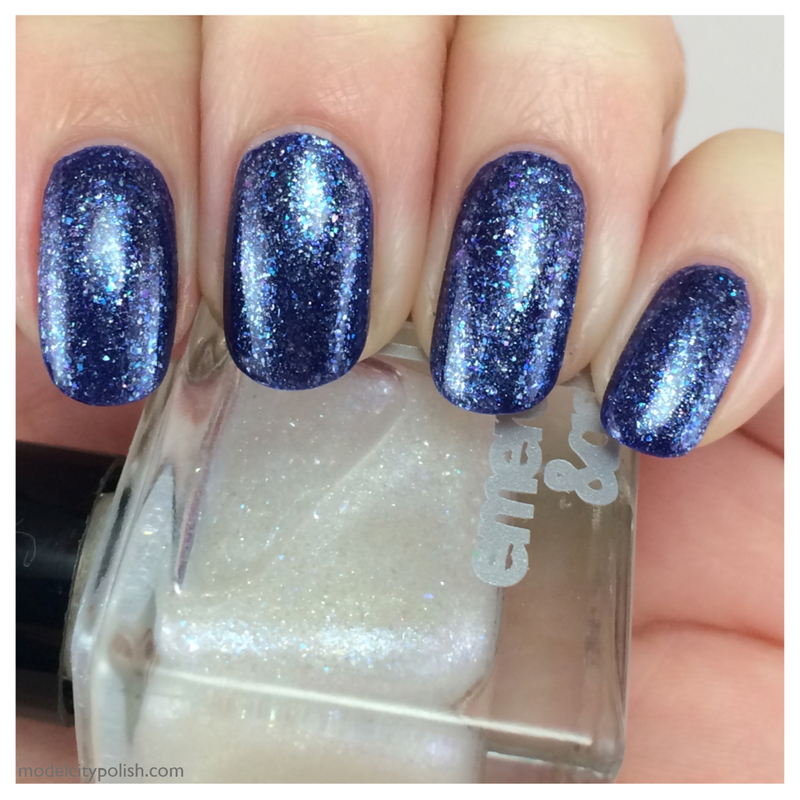 I used two coats in my photos and my last photo shows the holo a lot better. 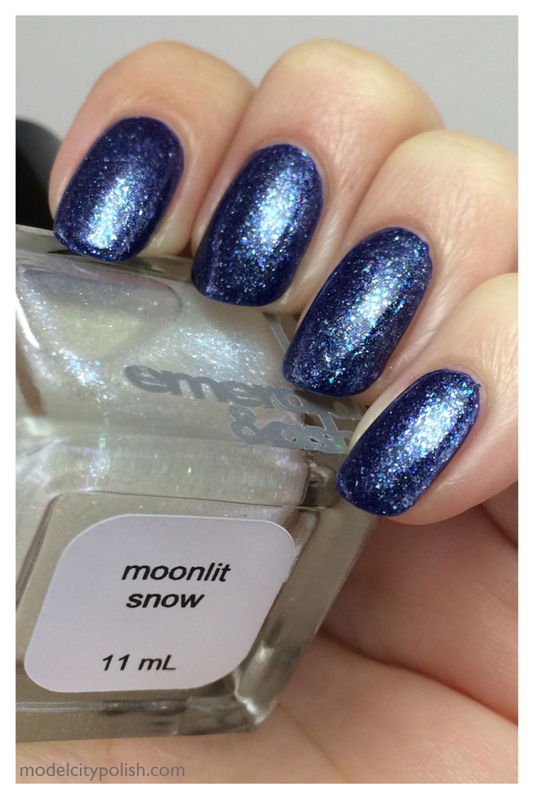 Lastly for the polish portion of the Winter Nights Collection is Moonlit Snow. I really enjoyed this blend! 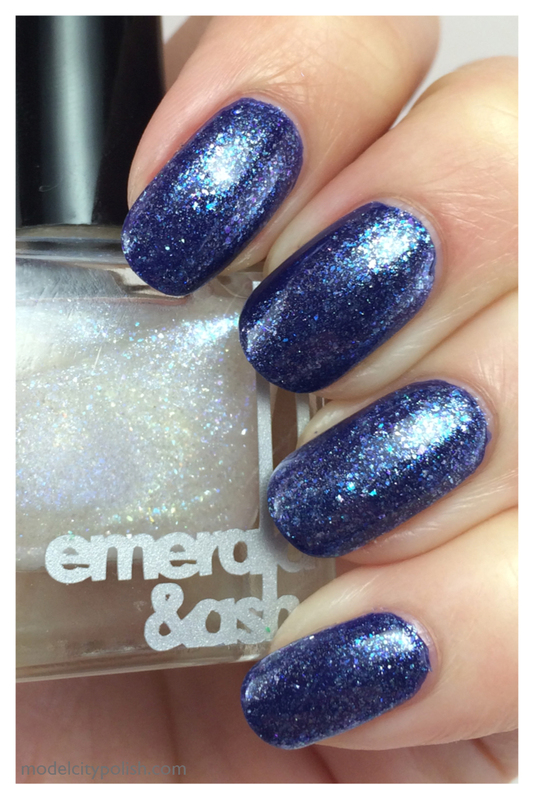 This is a micro flakie top coat with silver, white, blue and purple flashes that is just stunning. I paired this with Julep Char to give that late evening snow feel. 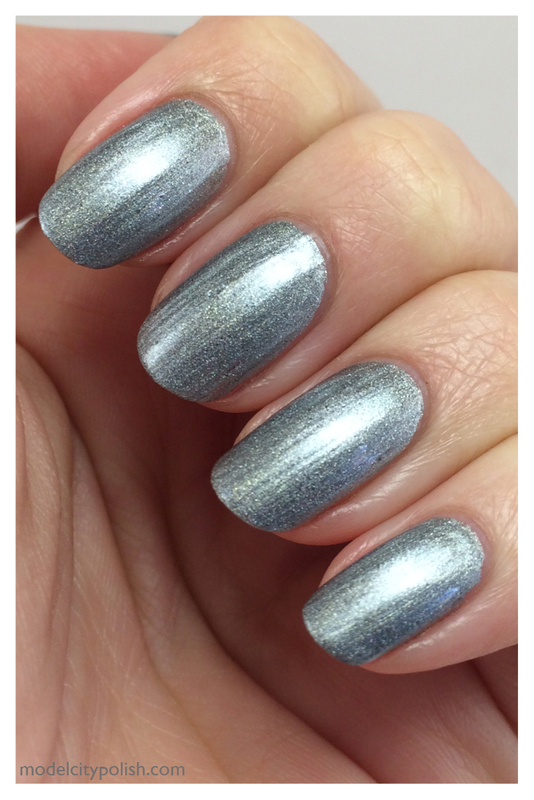 I used just one coat of Moonlit Snow and a coat of Gelous. Now for the cuticle oil. 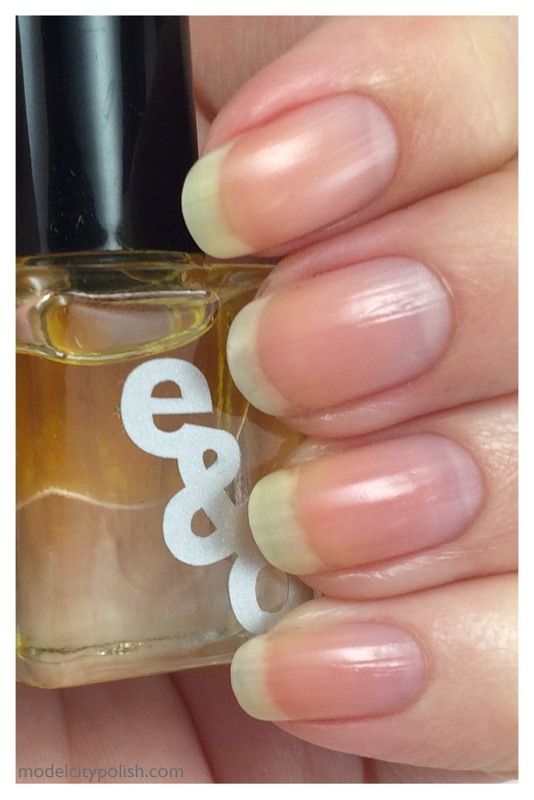 Part of the entire Winter Nights Collection is a mini bottle of Winter Garden scented cuticle oil. 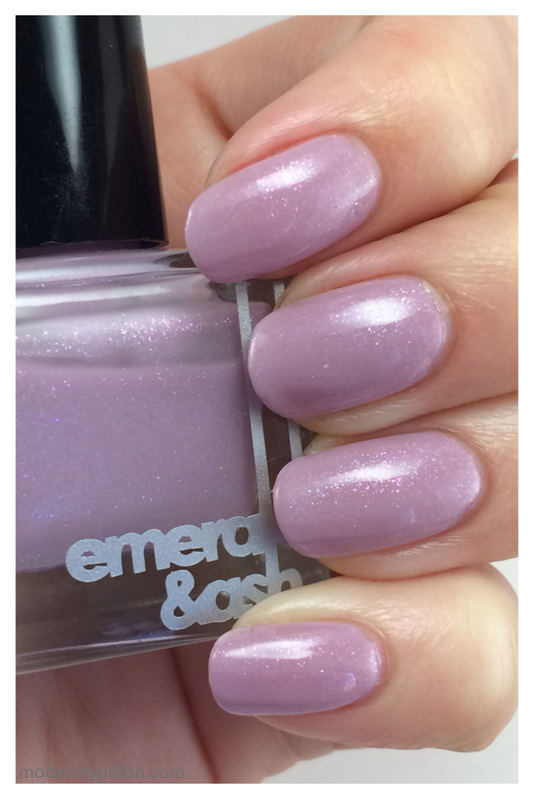 First let me say, I own a few bottles of Emerald & Ash’s cuticle oil and I love the metal roller ball for application. It is a lot easier to use than plastic roller balls. Winter Garden scent is a heavy floral scent that you will be smelling long after the oils have absorbed. 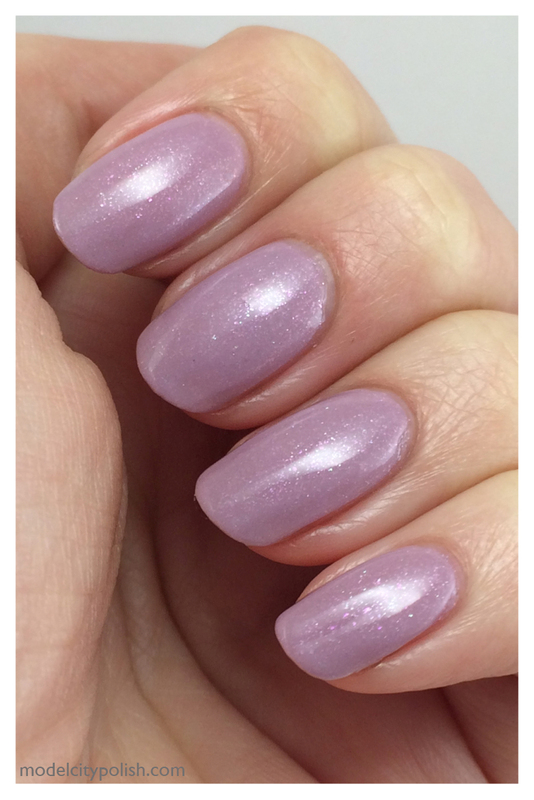 Now I personally like to remove all polish one night out of the week and spend the night applying cuticle oil. I find that my nails seem to split a lot less. I still apply the oil to my cuticles daily but the once a week dose for the nails is also very beneficial. These were sent to me for review but does not influence my opinion.